The USA stands ahead among all the other countries globally as a dream destination for most of the people. Generally foreign citizens those who are willing to work or live permanently in the country need to obtain an immigrant visa. This is the initial step for being a lawful permanent resident U.S immigration a intricate process. 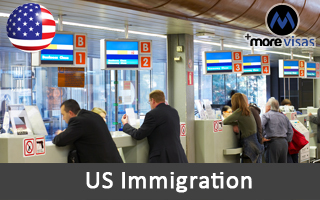 In this process you will get to know about the complete process, various types of immigrant visas, requirements, necessary steps, documents needed for immigration process and learn about who may immigrate to the U.S. The United States offers a wide variety of visas for foreign individuals. There are over 60 types of visas non-immigrants visas available for the international citizens. To be qualified for getting an immigrant visa, the applicant must be having a sponsor who is a lawful permanent resident of U.S or from potential employer under certain conditions. The actual process starts by filling out an application by the sponsors on behalf of you with the help of the U.S Citizenship and Immigration Services (USCIS). The type of visa you get will depend on your purpose of your visit. They are majorly divided into two types. These visas are again classified within each type. There is an another option for certain countries to visit U.S without any visa called the Visa Waiver in which the overseas nationals can come and stay in the country for about 90 days. This is mainly available for cosmopolitan countries. These above different types of visas may benefit the foreign citizens to get into their dream land. The government of United States has created these types of visas in order make the foreign individuals feel free to apply and get fixed in the country. Based on the intention of your visit now you can choose the type of visa you need and make your trip successful.